Each interaction presents an opportunity or risk that can impact revenue recovery and customer relationships. Contact center professionals are often the tip of the spear when it comes to safeguarding a company’s reputation. They’re literally and figuratively where ethical business practices, compliance and customer service intersect with results and business performance. Debt recovery professionals, in particular, face the daily challenge of delivering results and preserving customer relationships while remaining in compliance with numerous federal, state, and local laws and regulations. Anytime an organization falls out of compliance, it can have a strong negative influence on the brand’s reputation. Compliance safeguards are table stakes for organizations operating in the collections industry. Contact center personnel must pursue collections without making a regulatory misstep. Like the medical doctor’s credo to “first, do no harm,” the chief priority is to remain compliant and not run afoul of the law. But this may be easier said than done. In fact, staying compliant can seem like a moving target for debt collection companies. The regulatory environment is always changing. Six years ago, the Consumer Financial Protection Bureau (CFPB) didn’t exist. Today, it offers a broad range of powerful protections for consumers and fines for businesses that don’t follow the rules. Still yet, recent administration changes in Washington, D.C. forecast more adjustments to compliance requirements within the industry. As the regulatory environment continues to evolve, contact center managers must periodically assess and adjust operations to stay compliant and avoid legal, financial or reputational damage. Collections contact centers must adhere to compliance rules and remain transparent to clients. Where should you start? Imagine that your organization, through diligent effort, is already delivering frequent training and winning the compliance battle. That is a good place to be. Now, your company’s focus can be on cash-flow… and rightfully so, because at the end of the day, your company won’t remain in business if you’re not staying in the black. If you’re compliant and cash-flow positive, your business is on a solid foundation. You can build on that foundation by cultivating a strong brand reputation—but don’t expect it to be easy. Before getting too far down the path, your business should take a long, hard look in the mirror. How do you measure up? As a business, do a little self-reflection by asking some questions: Are your operations, IT and back-office processes compliant and agile? Can you readily demonstrate full compliance to regulators? Are your contact center agents equipped to actively listen to customers and help them resolve billing issues? 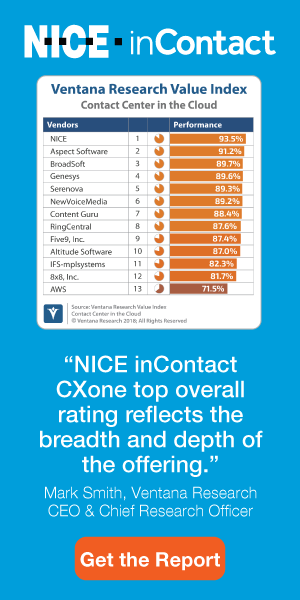 Is the culture of your contact center rooted in customer care and positive consumer outcomes? Is your customer-facing staff equipped to deal with issues when they hit social media? Can you engage your customers with respect and still have the operational commitment to follow through on recovering their debt? To get beyond survival mode and excel in the field, companies need to be able to demonstrate this type of proficiency. When contact center professionals interact with credit customers, the challenges are real. Each interaction creates an opportunity, or risk, that can have an effect on revenue recovery and customer relationships. Many of these challenges involve elements of psychology and interpersonal communication. Contact center agents have complex jobs. They are typically trying to convince a customer to pay for a product or service that was received long ago and has since lost its luster. Or, on the flipside, the call center agent could have the difficult task of pitching a resolution to a credit customer in default when the benefits of paying the debt—such as better credit scores and lower interest rates on borrowing—may be years in the future. Part of the challenge stems from traditionally negative perceptions of collections agents as having strong-arm relationships with debtors and dialing-for-dollars mindsets. While those perceptions are not the norm for today’s contact center professionals, they still complicate matters and negatively impact relationships with those who owe. Every time contact center agents engage with delinquent credit customers, they put their organizations’ reputations at risk. In today’s networked world, customers who owe debts have an unprecedented number of online channels and social media platforms from which to make noise about perceived unfair treatment. One bad interaction can start a cascade of negative business and market impacts. When it comes to consumers sharing opinions, the negatives have the lead. Industry research shows customers are much more likely to voice complaints than accolades, and that it can take as many as 12 positive experiences to make up for one unresolved or negative experience. And since we live in a world where consumers have a vast omnichannel universe in which to vent their frustrations, every interaction has the opportunity to wind up in front of a wide digital audience. If you do someone wrong while you’re collecting a consumer’s money, you are vulnerable to a backlash on social media. Even if you do nothing wrong, but the consumer perceives a lack of respect or some other slight, they may complain. And there’s no guarantee that what they say will be accurate. But you can expect them to have a number of social media sympathizers who are happy to share their own negative experiences with contact centers. To minimize social media setbacks, businesses need to provide training in CRM strategies. Extend this training beyond the contact center staff to include anyone who might engage with customers. Keeping consumer interactions on positive footing can be particularly tough for debt collectors. In a delinquency, borrowers rarely think of themselves as “customers,” let alone consider a successful resolution—paying back money—as a positive experience. Financial hardship is a challenge to anyone’s sense of worth and identity. But skilled collections agents understand this and have the patience and training to be reliable and results-oriented partners in stressful situations. Best practices should embed concepts of empathy and teamwork in call center scripts, and involve granular tweaks in choice of words or tone of voice to keep interactions collaborative and resolution-oriented. A philosophy of collection built around respect and collaborative problem-solving with consumers can improve what otherwise might be a strained relationship. This approach balances the principles of CRM, compliance, and transparency with the value-driven and cash-flow-focused mindset. By putting these principles into practice, organizations can improve the effectiveness of collections efforts and elevate the contact center to serve as a driver of fiscal health. In addition to strengthening communication with customers, organizations should emphasize internal communication. And internal communication is a two-way street. It requires management sharing news with staff, and staff sharing feedback with managers. An open communication environment can tamp down rumors and help surface issues before they fester and become problems. Once issues become known, management has an opportunity to fulfill the same problem-solving approach that is expected when their staff works with external customers. Whether action is taken to resolve an issue or not, management can build rapport with employees by clearly communicating their decisions. That kind of transparency enhances trust between contact center staff and management, while establishing a foundation for a strong company culture. In a successful and dynamic company culture, best practices are reinforced and reflected at every opportunity. When agents feel empowered by their managers, they in turn can boost their level of customer care to improve collections outcomes and customer relations. Overall, reputation management plays out in numerous organizational settings—from product-centered controversies and leadership matters to workforce disputes and safety issues. It’s a particularly fierce dynamic for contact center professionals. The best organizations reduce reputational risk by keeping channels of communication open and training contact center agents to provide sympathetic feedback and employ collaborative problem-solving. Whether launching initiatives to safeguard your company’s reputation and customer relationships or outsourcing the effort to others, businesses must navigate some big challenges. The best strategies reduce reputational risk by keeping client control over both the collection strategy and execution. A foundational approach can help achieve this by combining basic and advanced ARM needs as key pillars of support in the overall collections efforts. Gary Dorman is Director of Operations at Waypoint Resource Group, an industry leader in compliance-oriented, performance-driven loan management. Gary has 25 years of experience working in the ARM industry, specifically in third-party collections.